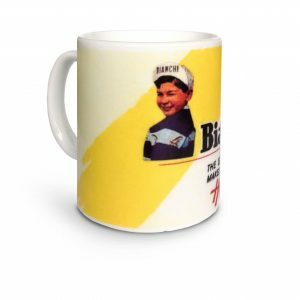 If you have a passion for the golden years of cycling and a taste for good roast then this Bianchi mug will tick all the marks. 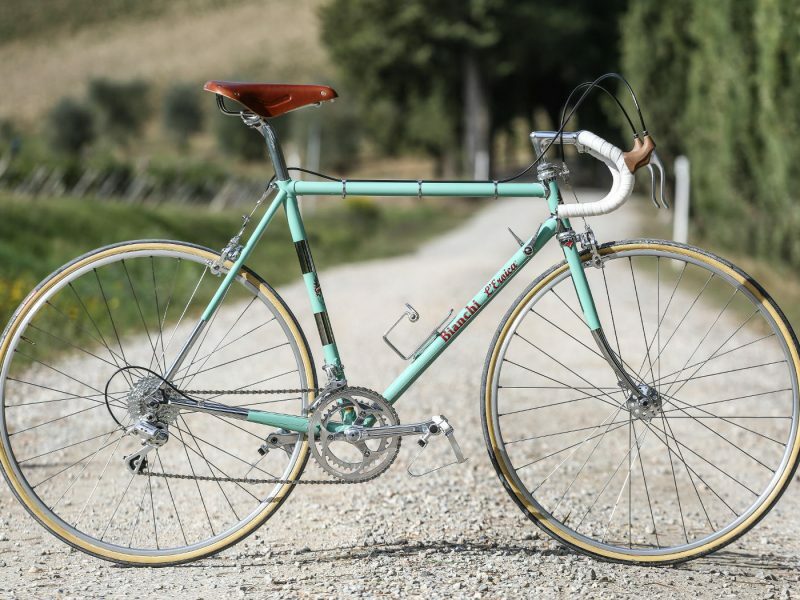 The famous Bianchi support vehicle that was used for many years to support Bianchi Team riders in all major Italian racers. 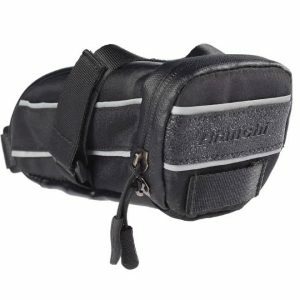 At one time, Bianchi manufactured automobiles and the S9 Matta was their classic model. 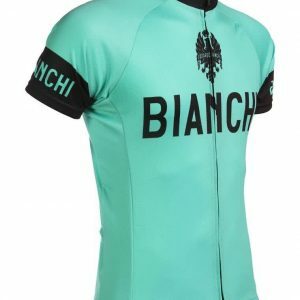 What an image to drink from your Bianchi mug as you get ready to start your daily ride or to come back to after a hard training session. Whatever the case enjoy your favorite hot beverage, or add it to your collection, the S9 Matta mug will provide a great many “good effort” days to be proud of. As part of the Bianchi Coffee Mug Heritage collection the S9 MATTA Coffee mug is a must-add inclusion for any classic cycling collector or Bianchisti (Bianchi fan). 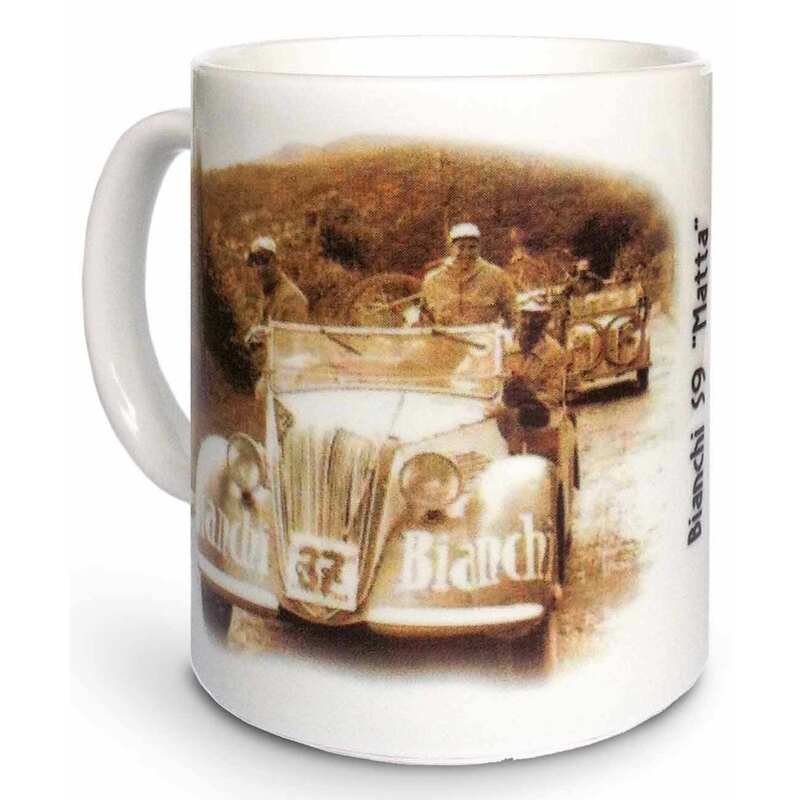 You can check out other Bianchi mugs like the Officina Meccanica, or the Child Poster mugs here. Part of a vintage collection of Bianchi Coffee Mug. All these mugs call out your inner classical cyclist.